March 30, 1981. John Hinckley Jnr fires at President Ronald Reagan, wounding him and his press secretary James Brady, Washington police officer Thomas Delahanty, and Secret Service agent Timothy McCarthy severely. President Reagan survived thus breaking the famous Tecumseh Curse. 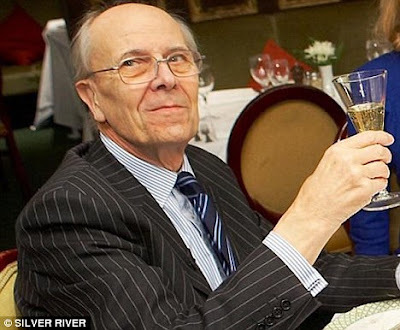 Tory Historian wishes Lord Tebbit, possibly the only active Conservative politician who can be called great, a happy 80th birthday. 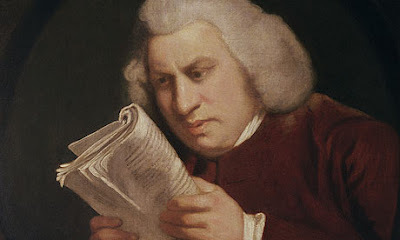 Searching through second-hand detective stories in Charing Cross Road Tory Historian found a collection of Lillian de la Torre's stories about Dr Johnson, entitled The Detections of Dr. Sam: Johnson. Tory Historian has, in the past, expressed reservations about some historical detective stories but the first two stories of Ms de la Torre's collection, The Tontine Curse and The Stroke of Thirteen deserve nothing but praise if only for the delightful pastiche of that likeable coxcomb, James Boswell's writings. Tory Historian has always had a soft spot for John Julius Norwich, the extraordinarily prolific yet seemingly relaxed and charming historian of Venice and the Byzantine Empire as well as talented anthologizer. Here is a delightful interview with him on occasion of his new book, the history of the Popes. It is going on TH's list immediately. Tory Historian has found two blogs that might be of interest to readers and they both seem to be authored by the same person except that both seem to have a number of other bloggers. In fact, one on Georgian London seems to be more of a magazine than a blog with the number of guests writing about their interests. Lucy Inglis, expert on Georgian London and particularly interested in artisans and immigrants to London in that period, is also the blogger in residence at the Museum of London, a very fine place that Tory Historian has not visited for far too long. Nevertheless, the Museum's blog seems to have a number of authors who deal with different aspects of that institution and its work. Very interesting it is, too. Tory Historian has been catching up with some important reading and found among the unread pile this article by Nigel Lawson (now Lord Lawson of Blaby), former Chancellor of the Exchequer and present-day campaigner against the intellectual terrorism of some climate scientists. Myth number one is that economics is a science. Myth number two: that policy-makers should be guided by the precautionary principle. Myth number three is the notion, assiduously peddled by ministers in the present government, as it was by their predecessors, that policies to promote the replacement of carbon-based energy by substantially more expensive renewable energy, notably wind power, will bring great benefit to the British economy and in particular create millions of so-called "green jobs". Myth number four, that Keynesian (or neo-Keynesian) stabilisation policy makes sense. The last of my five myths, which is causing considerable angst at the present time — as indeed it did when I was Chancellor in the 1980s — and was one of the preoccupations of November's meeting of the G20 finance ministers in Korea. This is the view that the very substantial current account imbalances that exist in the world are both unnatural and a threat to global economic health. The article needs to be read in full to find out what Lord Lawson's elegant refutations are and what the menace is. All Tory Historian can say is that the menace will not come as a surprise to anyone who knows Lord Lawson's economic and political views. It is not entirely clear to Tory Historian why International Women's Day, ignored in Britain since beginnings a century ago, should now be celebrated across the land. 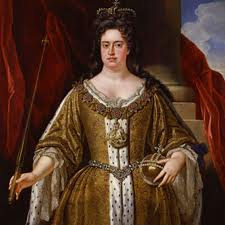 It is, however, satisfactory to know that March 8 is also the anniversary of Queen Anne's ascension to the throne after the death of her brother-in-law, William III, after a hunting accident. He was thrown from his horse who had stumbled into a mole's burrow. William's collar bone was broken and the complicating pneumonia carried him off. The Jacobites now had another toast to drink: not just "the King over the water" but also "the gentleman in the black velvet waistcoat", that is the mole. Curiously enough, the other William who had conquered England, though somewhat more bloodily, also died as a result of a fall off a horse. Tory Historian finished The Diary of a Country Parson, the very much shortened version of Parson Woodforde's voluminous diary. The elegant little tome in The World's Classics series of Oxford University Press reminds one of the small eighteenth century volumes that readers carried in their coat pockets or reticules. It is such a pity that financial considerations prevent the publication of long books in several small volumes. It would be a good deal easier to read Andrew Roberts's magisterial biography of Lord Salisbury if it were in five or six small tomes, one of which would be possible to carry around wherever one went. On the other hand, there are certain frustrations in reading such a very small portion of the diary. While the picture of an eighteenth century country parish, the nearest town, Norwich, with its shops and entertainments, the long coach journeys to London, Bath and the Woodforde family's homes in Somerset emerge most attractively, much has to be guessed at for it is not in the selection. John Beresford has preferred to concentrate on the Norfolk years so little is known of the previous Oxford and Somerset ones, the latter being of great interest. There is no help for it. Tory Historian will have to read, no doubt in many instalments, the full diary.